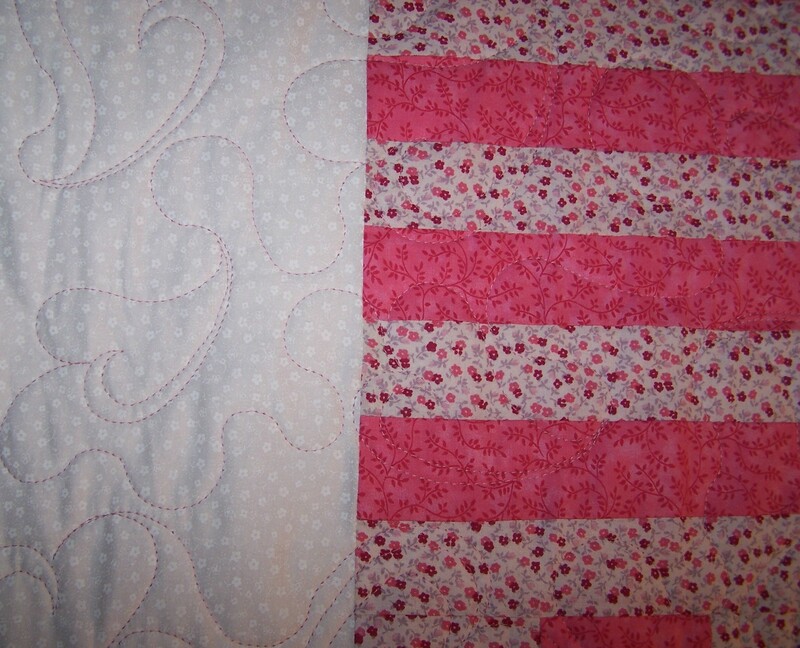 Here is a quilt completed recently for a lucky little girl. An edge to edge design with swirls and hearts was used. 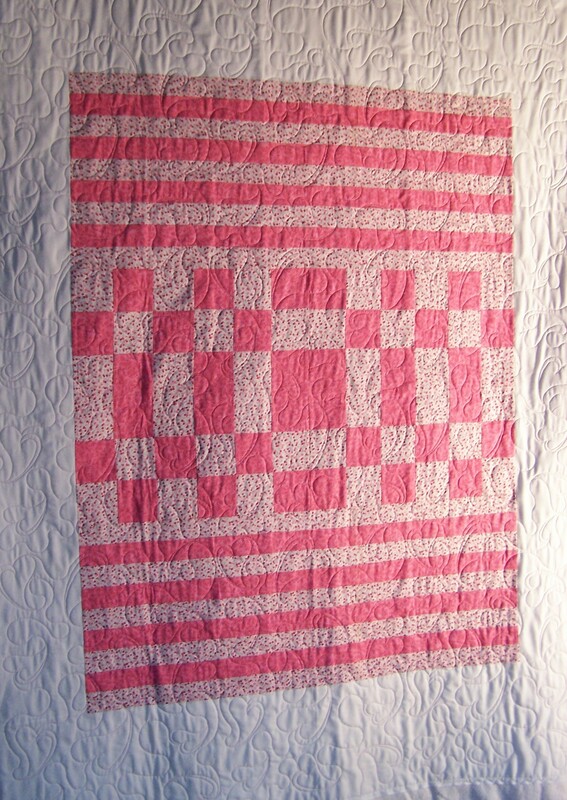 Do you have a quilt top finished and need to get it DONE? CONTACT ME today! 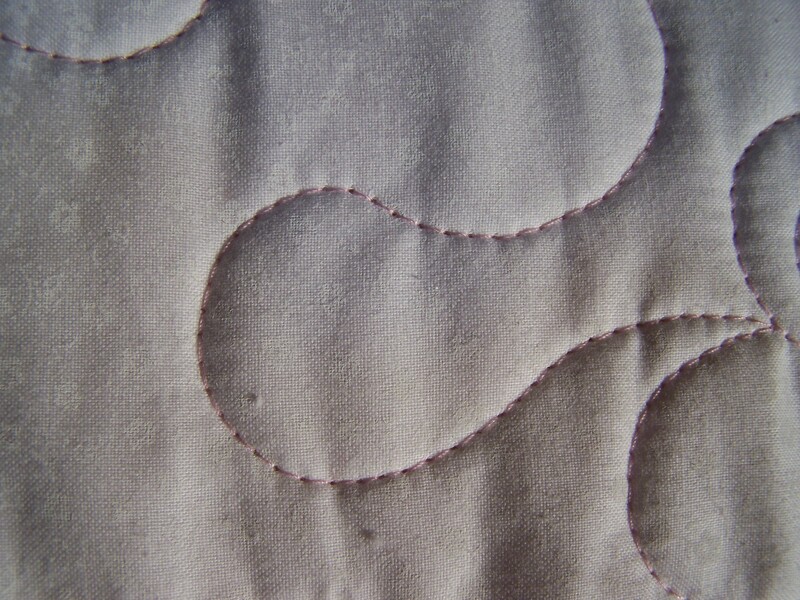 Here’s a photo of the back showing stitch quality.